A man was killed and a busy intersection in Opa-locka was completely shut down after an officer-involved shooting early Wednesday. According to Miami-Dade Police, an officer was patrolling the area of Northwest 135th Street and Northwest 32nd Avenue around 3:30 a.m. when he spotted a man behaving erratically. The officer tried to stop the man, but the man reportedly ignored the officer and got away. The officer requested backup. Police said the man then jumped onto the patrol car and began beating it with an unknown object, smashing the windshield. The officer called for backup and a second officer responded. The two officers tried to subdue the man and struck the man several times with their electronic control devices, but were unable to take the man down, officials said. Police said after that confrontation, the man was shot and killed. Police have not released information on the object the man was holding, but said they have collected pieces of the object as part of the investigation. Family members at the scene have identified the victim as 25-year-old Cornelius Brown. Relatives told NBC 6 that Brown was recently diagnosed as having schizophrenia. They said the item he had was a household cleaning object, "It's a broom stick that he walks around with, everybody knows that." Neighbors said Brown was always carrying it. When asked about the broom stick, detectives said, "It could have been a broom. It could have been a crow bar." The family's attorney told NBC 6 they're already preparing a case surrounding Brown's death. Aerial footage showed the intersection shut down with multiple police cars at the scene. Also visible was a yellow tarp covering what appears to be a body in the roadway. A man was killed in an officer-involved shooting early Wednesday in Opa-locka. NBC 6's Michael Spears reports. 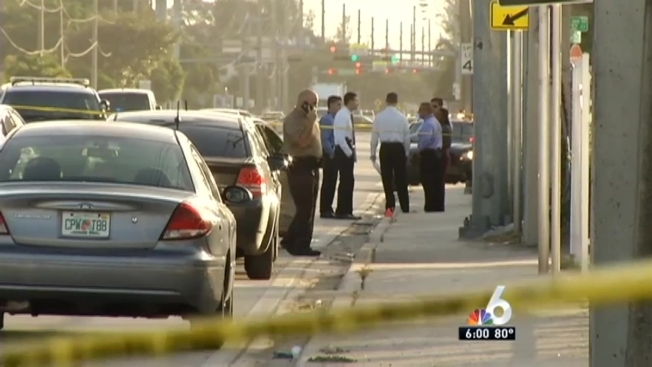 The incident was the fifth police-involved shooting in South Florida in the past week. Three teens were injured in a police-involved shooting in Miami-Dade last week. On Sunday, a suspect was injured in an officer-involved shooting during a traffic stop in South Miami. 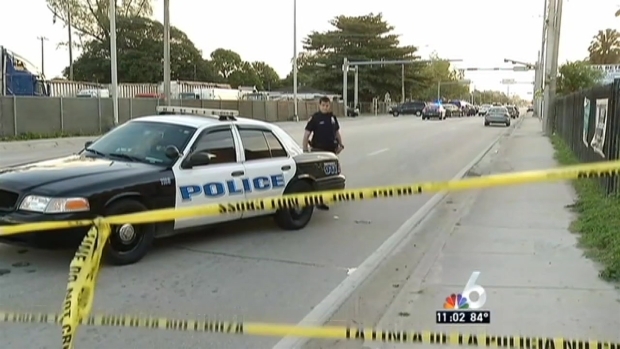 Earlier Sunday, an armed teen was shot by police after an alleged carjacking in Miami-Dade. On Tuesday, an armed robbery suspect was killed in a police-involved shooting in southwest Miami-Dade, officials said.